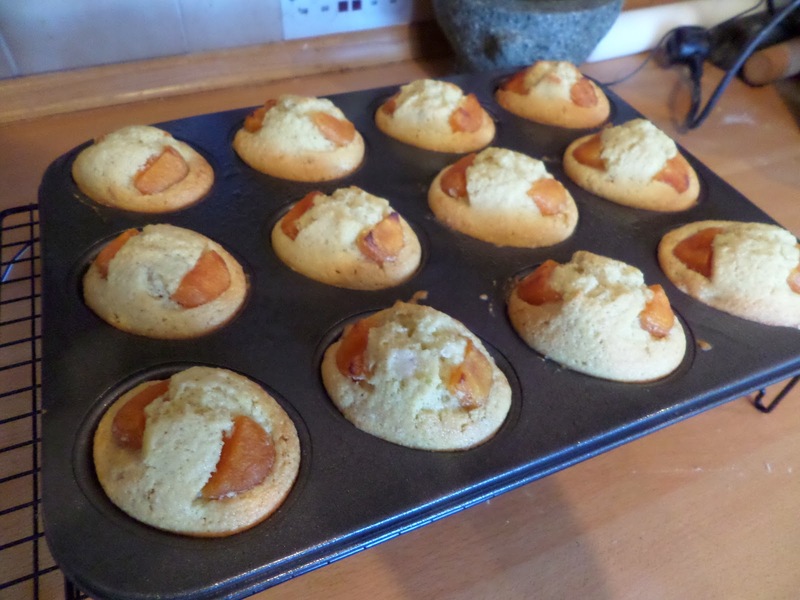 I’m keen to use my friand tray again, and we have excess of dried apricots lying around, so my work colleagues will be getting apricot friands this week! I’m starting from the same BBC Good Food recipe I used for the festive friands as I used before, but I’m upping the amounts as it’s only supposed to make 10 friands (who has a 10-hole friand tin!?) and I made up the extra last time with the mincemeat and lemon curd. Clarify the butter by heating on the hob until brown, then pass through a cheese cloth in a sieve to remove the milk solids. 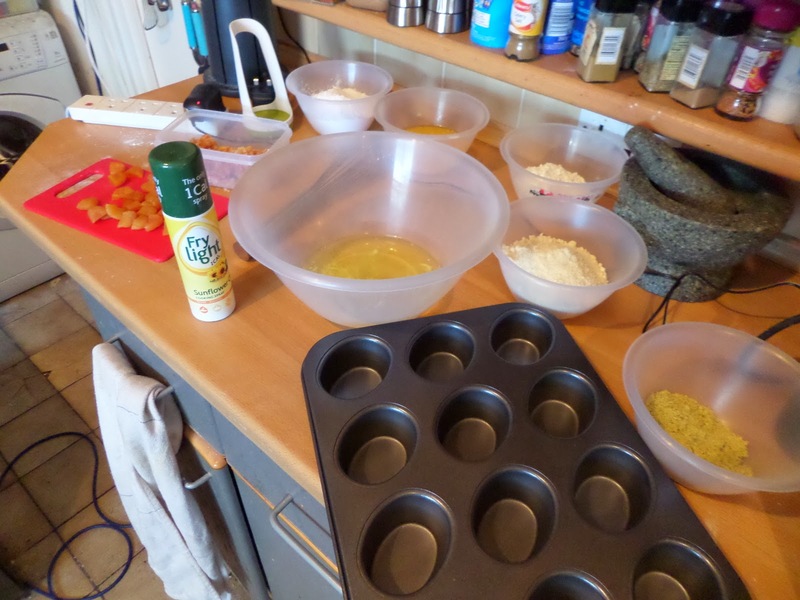 Then being me… I get everything mise en place. Whisk the egg whites until frothy. Sift the flour, sugar (and any spices if using them, but I’m not today) into the egg whites. Sprinkle over the almonds & pistachios, and pour in the cooled clarified butter. Now fold it all together, then gently fold in the chopped apricots. Spray the friand tray with oil, then spoon the mixture in. 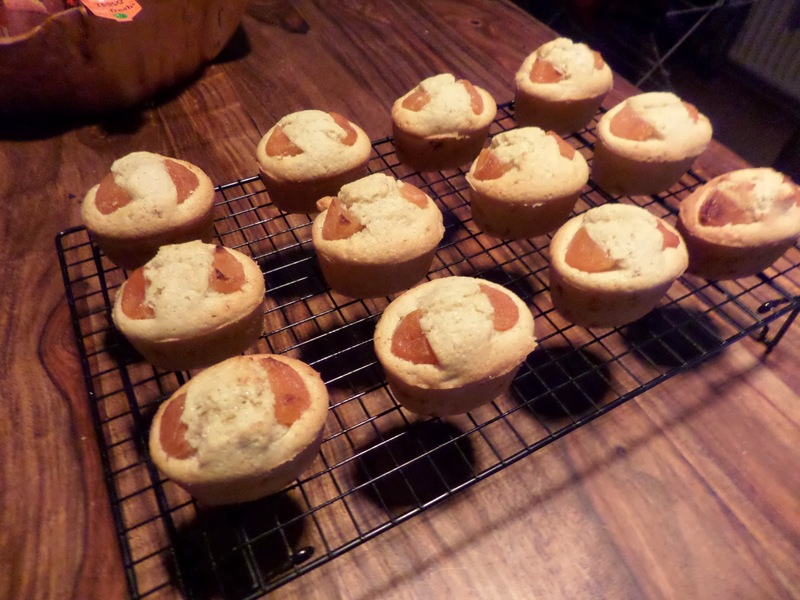 Top each with two apricot halves. Bake for 20 minutes turning half way through, and test with a tooth pick. It took a few extra minutes for mine, but I think “bake for 20 before testing” is a good guide for the recipe. Cool for 5 minutes before removing from the tin using a dessert spoon. We test a friand each while they’re still warm, and the other 10 are left to cool before being boxed up to take to work tomorrow. They were much lighter than last time, which I put down to sifting and folding properly rather than just bunging everything into the mixer. I’m also really happy with the taste; I’m glad I didn’t put a lot of extra spices in, and just let the apricot/almond/pistachio mix take centre stage. However I think there’s too much mixture as they’re coming up over the sides a bit. Only a little bit. 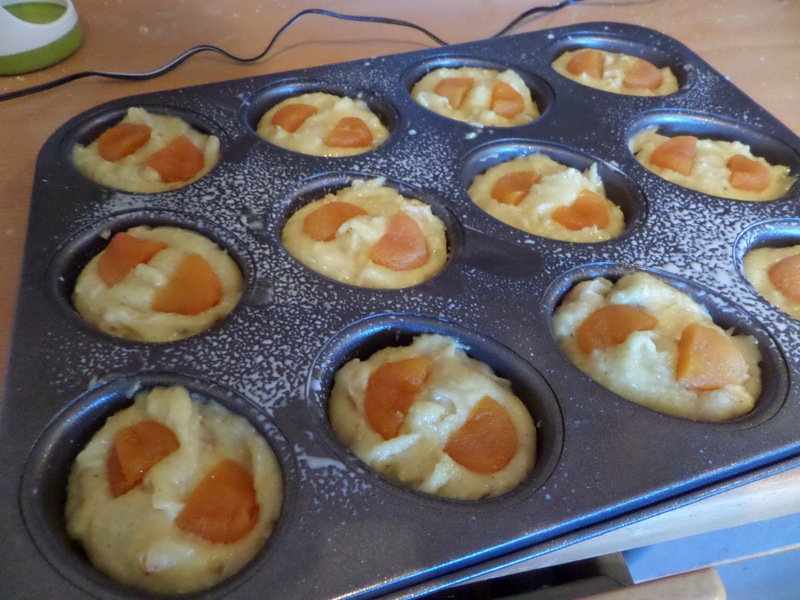 I think the amount of mixture would be perfect if the chopped apricots weren’t in there. So basically I’m really happy with my base friand recipe, I just need to be careful with amounts if I’m adding extras or topping to it. Having said that… the puffing up in the middle is bugging me. It’s fine here… but what if I don’t want it? I didn’t have it last time, I assume due to not folding things in and thus having a denser batter. But what if I want the lightness inside, but no exploding top? Would less mixture solve this? Or maybe lower heat? I guess I’ll just have to make more friands and learn more about how they work! I’m willing to sample your experiments and give you an opinion.